Monasteries and parish churches are like ships which are sailing across the sea of life. Numerous passengers – pilgrims and parishioners board them every day. And sometimes the Providence of God brings here those people who consider themselves to be ordinary tourists. These ships try to take them from one harbor to another closer to God. 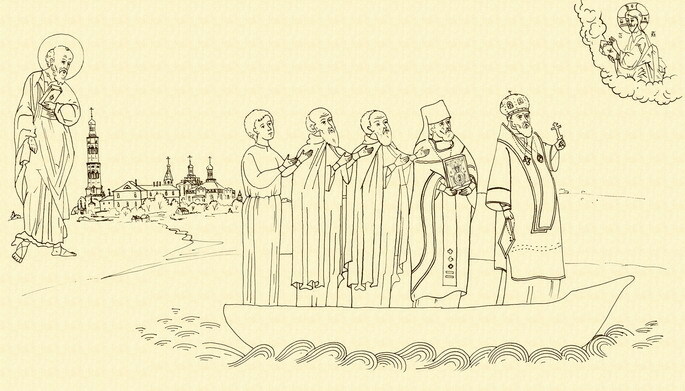 The brethren of the cloisters and people, who serve in parish churches: monks and laymen, priests and novices, ordinary workers – all of them are the crew of those ships in a way. Fulfilling their duties they make a kind of journey, come up to God along the spiritual ladder and help everybody, who come here with an open heart, in this ascent.